Ever seen the film ZULU? this man didn't need to, he was there when it happened, so the monetary value of your unidentified photo has just rocketed skyward! AZW Collectors would give an arm and a leg to own it! I was actually trying to find a picture of the shop in Matlock when I stumbled across this picture. Many thanks for the copyright permission for the unidentified photograph. The individual concerned is none other than Sgt Frederick Augustus Millne (far left in above picture (for which I have no copyright and cannot get it so it can't be reproduced). The picture was taken around 1914-16 so it is considerably later than yours. Frederick was born in Dalston (Hackney) London in 1854. He enlisted in the army (May 1872) and was posted to SOUTH AFRICA. Embarked on the SS St Lawrence and left Dublin 4th Oct 1876 bound for the Cape. St Lawrence hit the Great Paternoster reef and sank, reef has since been known as Soldiers Reef (No loss of life). 22nd / 23rd JAN 1879 Sgt Millne was present at the defence of Rorke's Drift in the Zulu War, he was the man who offered to moor the ponts in the middle of the river and defend them from the deck, he was mentioned in despatches for his courage but permission was denied, had he have been given permission he would almost certainly have perished. 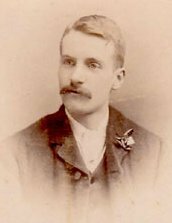 After discharge he went to Shanghai and got a job training the Shanghai police, He won $40,000 dollars (£8,000) on the lottery (a kings ransom in those days), he then returned to England, married Catherine in London (1889) and moved to Matlock Bridge (1891 census) where he was one half of: "WHITE & MILLNE, wholesale and retail grocers & tea dealers, wines & spirit merchants & mineral water manufacturers" in Matlock Bridge. (Kelly's Directory 1891). Unknown what happened to the business, his only comment in later years was to quote Mark Twain "In the first place I have the money and you have the experience, in the second I have the experience". Around turn of the century he left Matlock and moved to Manchester. Hope this is what you were looking for with reference to the website, Matlock's own connection to Rorke's Drift, and that the info I have been able to give has not disappointed. I do have more on Sgt Millne, but that is brand new details that as yet NO-ONE except myself knows, so it is set to explode upon the AZW world, therefore I really do have to keep it back for the book. Let me know if you need anything else. "Chard went back to the drift to collect the guard at the Ponts. 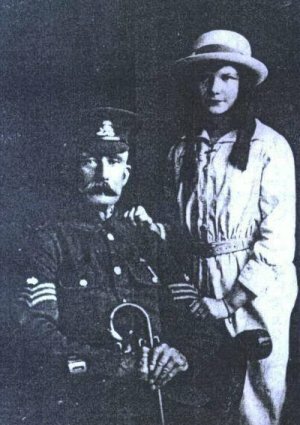 Sergeant Millne of the Buffs, who had been one of a party supervising the crossing since the invasion, and a civilian pontman, Mr Daniells, offered to man the ponts and moor them in midstream; but as their position would be completely exposed to Zulu rifle-fire, and since no men could be spared to guard the drift, Chard declined the offer. The ponts would have to to take their chances; Chard ordered the guard to load his tents and equipment into the wagon, and together they went back to the mission." After such excitement, running a grocery shop in Matlock Bridge must have felt very peaceful.